We bring people together to offer families and individuals the opportunity to build and purchase decent, affordable homes. And while there are many ways to join the effort, the goal is the same: empowering people to build strength, stability, and independence. Support our projects by volunteering and donating! TEAM Build days start with a donation of $50 from each member of your team. Then our construction crew will give you an insider’s tour of the project and answer any questions about Habitat for Humanity. We will get you geared up, give you instructions, and let you get to work. Stick around after the shift, and we will provide you with a meal and a t-shirt. TEAM Build days are a great way to develop rapport with your colleagues, teammates, neighbors, and members of your church community. Most importantly, your donation and volunteer hours will support a great cause! Throughout the year, we regularly host fundraising events to benefit Iowa Valley Habitat for Humanity. Events promote affordable homeownership, raise necessary funding for home construction, and gather supporters together for fun and fellowship. We enjoy working with local groups, businesses, student organizations, and individuals to help develop ideas into meaningful events to benefit Iowa Valley Habitat for Humanity. ​Sponsoring an event is a tangible way to support Habitat for Humanity and invest in our community. If you have a creative idea for a fundraiser or would like to support our work, please contact tami@iowavalleyhabitat.org today for more information. ​One of the most meaningful ways you can demonstrate your business or organization's dedication to our community is to become a Habitat for Humanity Home Sponsor. Join us in strengthening families who will pay an affordable mortgage. Like all homeowners, Habitat homeowners pay property taxes, so your investment will help to improve schools, roads and boost property value. A Home Build Sponsorship begins with your pledge to raise $50,000. These funds are used to purchase land, construction materials, and building supplies. Together we can create a world where everyone has a decent place to call home. Contact tami@iowavalleyhabitat.org today for more information. 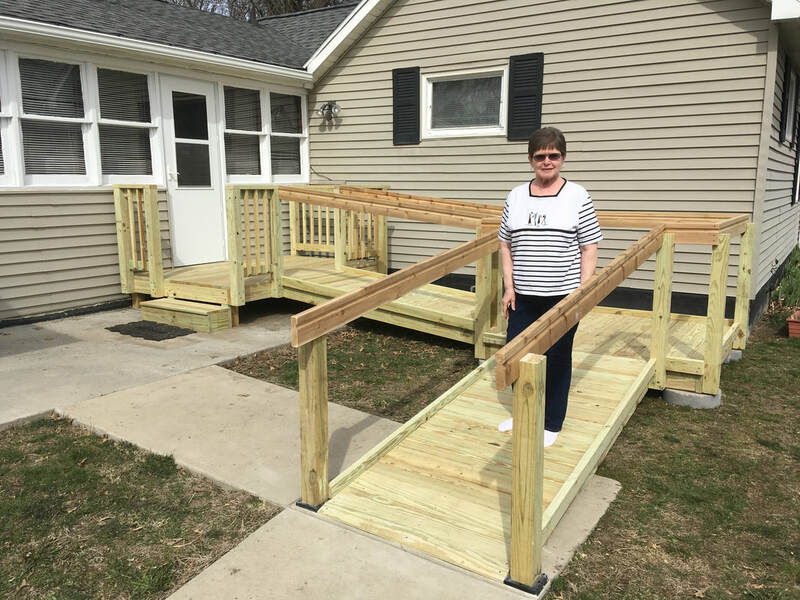 ​Help a local homeowner obtain critical repairs and accessibility modifications for their home. Home repairs and modifications are essential for people to age safely in their homes, but the costs can vary greatly. Ensure that more requests for Helping Hands can be fulfilled, regardless of the cost, by becoming a Helping Hands sponsor. Your gift will be used for construction materials and supplies, and labor. Contact tami@iowavalleyhabitat.org today for more information. Questions about sponsorship opportunities? Drop us a line.